One of the dreams of airline geeks everywhere is to experience anything brand new in aviation. Whether that is flying on a new aircraft type, visiting a new airport terminal, or hopping on a new route, we want to experience it all. When Southwest Airlines asked me to be their guest on an inaugural flight for new service from San Jose, California to San Jose del Cabo, Mexico (Cabo San Lucas), I naturally jumped at the chance. Inaugural flights don’t happen every day! Southwest has been making major strides to expand strategically in California. Southwest now carries more passengers to, from, and within California than any other airline, serving 10 California airports with 700 daily departures. This new SJC to SJD service is just one piece of California puzzle. On the same day, Southwest also launched service to Cabo from Sacramento (SMF) as well. That now makes three Northern California airports that can shuttle vacationers down to Los Cabos. My home airport of Oakland (OAK) already has had service to SJD starting last February. Southern California isn’t neglected either, with non-stop flights to Cabo from SNA, LAX, and SAN. The entire inaugural flight experience was really just a celebration, in Southwest Airlines style of course. With me for all the adventures was a friend and fellow family travel blogger, Michaelyn of The Mousekatools Mom, so we could enjoy a girls weekend in Cabo. While I’m usually traveling with my kids 95% of the time, some times moms deserve a getaway too (hint, hint to any of you dads out there reading…). So, what was an inaugural flight like? In short, it was just a lot of fun, even if you aren’t an airline geek. If you ever have the chance to take one, especially on Southwest which is an airline that knows how to have a good time, take it! Passengers and employees were all in high spirits celebrating the occasion. I am sure our tropical destination helped make the mood even more festive too. When we arrived early morning into San Jose for our 8:45 am flight, the first thing we spotted was the Southwest check-in counters decorated for the special event. In the middle of the bag check kiosks was a large balloon backdrop with margaritas, sombreros, and cacti setting the mood for the Mexican desert destination. The counters were decorated with flowers and more balloons. There was definitely no way for any passenger flying Southwest that day through San Jose to miss the announcement of the new route! There were extra employees manning the check-in counters to help train gate agents on the details of scanning passports. Cabo is the first international destination that Southwest serves out of San Jose. As a result, employees were learning the ropes of that process while also celebrating the new route. My check-in process was very quick and totally painless with the extra staffing, and my friend and I were soon off to the gate. After clearing security, the gate for our flight was more of the same with festive balloons and decorations everywhere. Southwest employees set up a number of giveaways for passengers on the “Heart Cart”: cookies with the famous Cabo San Lucas arch on them, sunscreen, wacky wingtip sunglasses, Southwest’s famous plane cookies, and plenty of other swag. There were props for taking themed selfies, because Southwest employees never miss a chance for good-natured fun. Setting the mood even more was Latin music on the boombox. Representatives from the airline and the airport as well as several San Jose community leaders were there for the ribbon cutting. Meanwhile, fellow passengers were mixing and mingling and getting to know one another. I talked to one well-traveled Boomer-aged couple who were clearly huge Southwest fans and loyalists. There was also a group of college-aged girls headed on spring break who had no clue until they arrived at the gate that they were going to be on an inaugural flight. It was a happy mix of aviation geeks and regular travelers. We boarded in normal Southwest A, B, C fashion, marking only the second time I’ve gotten to use my new Southwest A-list benefits (more on that another time). The flight was about half full so there was plenty of room to spread out. My friend and I shared a row of three seats at the middle of the plane. At our on-time push-back, airport employees went down onto the tarmac and waved bon voyage to the flight. We were on our way! Armed with drink coupons in hand, my friend and I enjoyed an in-flight margarita to mark the occasion after takeoff. Flight attendants were chatty and friendly which is pretty much par for the course for Southwest anyway. I discovered that one of our flight attendants was a (ghost)writer for a well-known miles and points blog, so we shared stories about friends we had in common in the frequent flyer community. I won’t out her secret identity though! After about 2.5 hours in flight (the flight is scheduled for an even 3 hours), we were in Cabo! We had just about 24 hours before we were to head home again on Sunday’s 1:50 pm flight to Oakland. Luckily, the customs and immigration process was speedy and our pre-booked shuttle was easy to locate and quick to depart. Our girls weekend could finally begin. Our home away from home was the Sheraton Grand Los Cabos Hacienda del Mar for one night. The Sheraton is located on the Los Cabos “Corridor” – a stretch of hotels between the two cities of San Jose del Cabo (where the airport is located) and Cabo San Lucas. The resort was breathtakingly beautiful and had just about everything a Cabo resort should have: infinity pools, multiple outdoor restaurants, Spanish-style buildings, and excellent service. My SPG membership got us free Wi-Fi too, a necessity for always-connected travel bloggers. What happens in Cabo stays in Cabo, but suffice it to say we made the most of our time, even on our short visit. We started with lunch at Sirenas, the hotel’s poolside restaurant. We then had a lot of time by the pool in the afternoon. Dinner took us to downtown and “The Office,” a well-known restaurant on the beach. The Baja shrimp were a highlight, as was the people-watching. Cabo attracts all types, and there are always some characters to observe! We had grand plans for an evening out at Cabo Wabo, but sleep-deprivation from having small kids back home caught up with us, and we called it a night on the earlier side. That just meant we were able to rise early on Sunday and get more beach time before our flight home, as well as to enjoy the Sheraton’s impressive breakfast buffet. I’ve been to Cabo before, but the visit just reminded me again how much there is in that area for travelers of all types. While it may have a reputation as a spring break mecca or the place for a rowdy girls or guys getaway, there is definitely a strong family-friendly side too. Our hotel in particular had a kids pools and kids club and would have worked well for singles, couples, or family travelers. 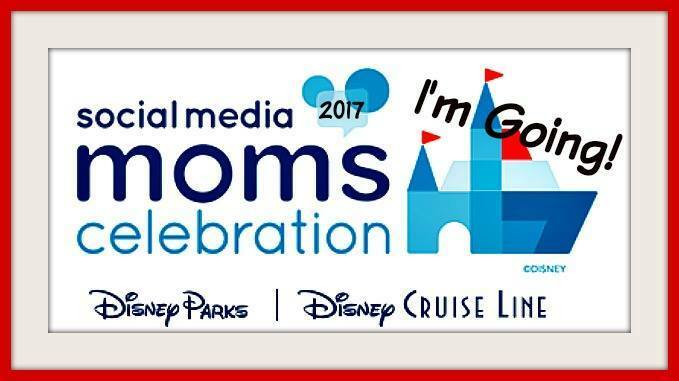 While I definitely enjoyed my girls getaway, I also can’t wait to get back with my kids on the next trip! Glad to know that Southwest now has three NorCal routes to get us all to Cabo and back too. Disclosure: I was a guest of Southwest Airlines during this trip. I’m a paid #SouthwestStorytellers ambassador for the airlines in 2018. As always, all opinions are my own. Sounds like a blast, keep me posted on those Hawaii flights. I can’t wait to hear route details once SWA takes off to the islands!